BALTIMORE — A West Virginia couple thought they were getting a deal. They received a text message about a new DIRECTV promotion where for $750, they would receive two years of all premium and movie channels, a service that typically costs around $1,300. 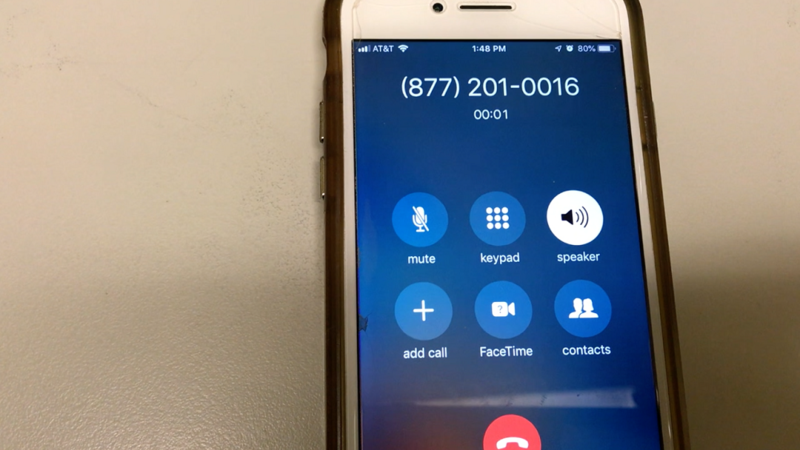 When the couple called the number provided in the text message, 1-877-201-0016, they heard the automated voice answering machine for DIRECTV. They then spoke with "Shawn" who requested eBay gift cards as payment. Shawn told them that eBay was a partner of the promotion. The couple, who asked not to be identified, proceeded to buy three eBay gift cards. They called the number again and read off the redemption codes on the back. Shawn said there was a problem with the gift cards and they needed to get $750 from another drug store. Once again, the couple called and read off the redemption codes. The couple later realized they had been taken but noticed that the additional channels and movie channels appeared on their TV service. WMAR-2 News Mallory Sofastaii also called the number and heard the DIRECTV answering machine. She spoke with two people who had strong accents and claimed to be DIRECTV representatives. The company contacted the network provider and requested the number be disconnected. As of Thursday morning, the phone number is no longer working.